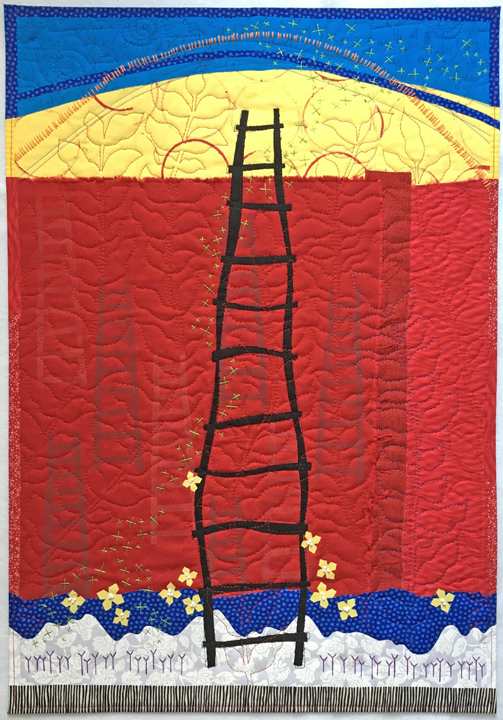 I did a better job of tracking my quilt inventory and production in 2016. I'm hoping to refine that process more in 2017. Goodness... I made a bunch of art quilts! I hope you'll enjoy this review of my 2016 collection! 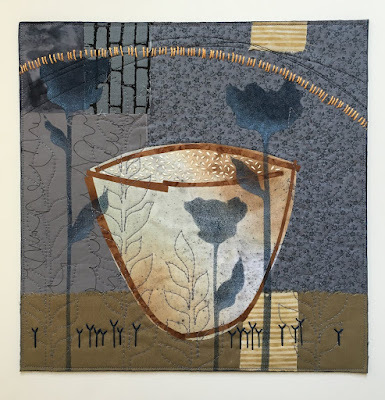 I created this quilt for Studio Art Quilt Associates call for entry for the exhibition Tranquility though it was not accepted. 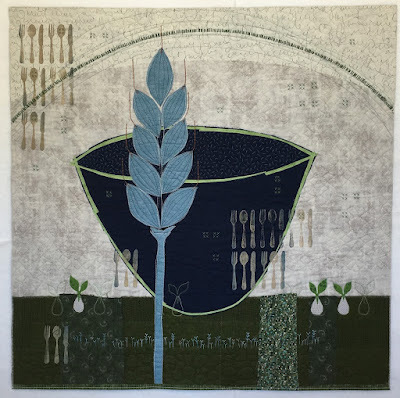 I was featured in an article I wrote for Art Quilting Studio. You can see a bunch of in-progress pictures here. I created this quilt for Studio Art Quilt Associates call for entry for the exhibition Turmoil, which was shown alongside the Tranquility exhibit. 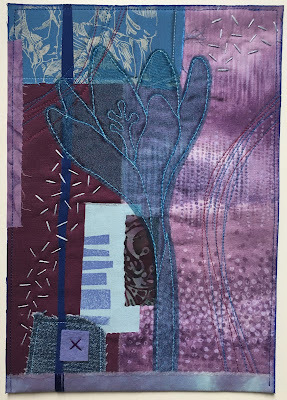 It was also not accepted, but was also featured in the article in Art Quilting Studio. 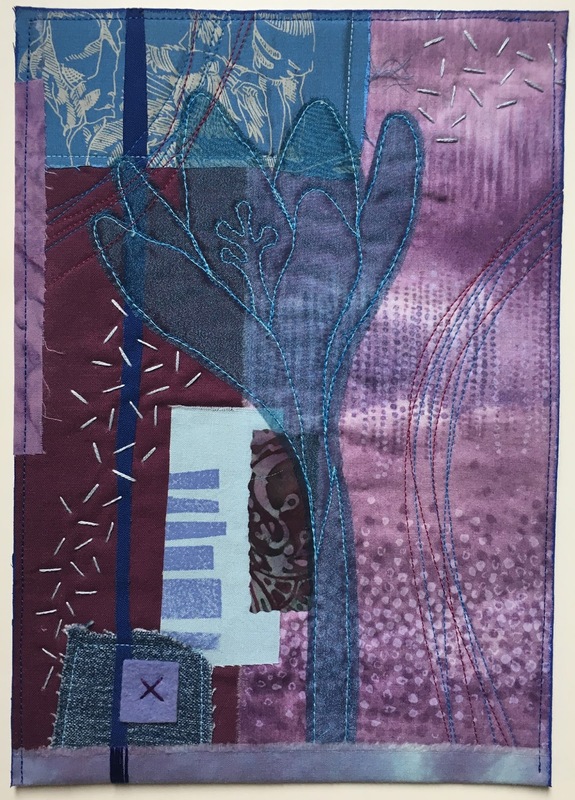 This small piece was a donation to the SAQA Spotlight Auction which is a fundraising event that occurs at the annual conference. It sold for $120. This is another donation to the SAQA Spotlight Auction at the annual conference. It sold for $125. 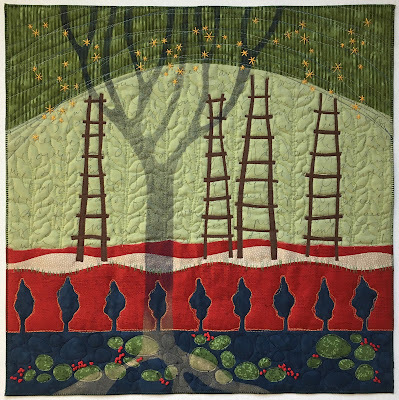 A few more pictures from these two quilts here. I created this piece with Misty Cole's super cup Poison Bottle block-of-the-month pattern. More about that process and the patterns in this blog post. 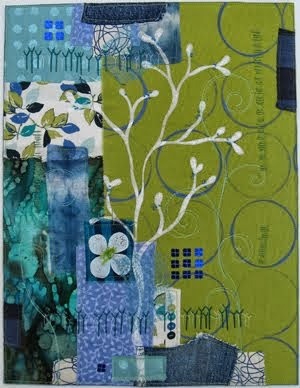 This is my annual donation to the SAQA Benefit auction. I've donated for seven years in a row, I think. This piece sold for $250. You can read about how I created it in this blog post. 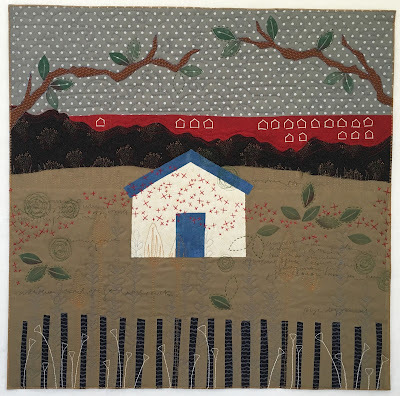 I created this piece to enter in the Tactile Architecture special exhibition at the International Quilt Festival. It was not accepted. I began work on another piece with several of the same fabrics and shapes. It's still in-progress and has much more potential than this piece which I definitely not my favorite of the pieces I finished in 2016. 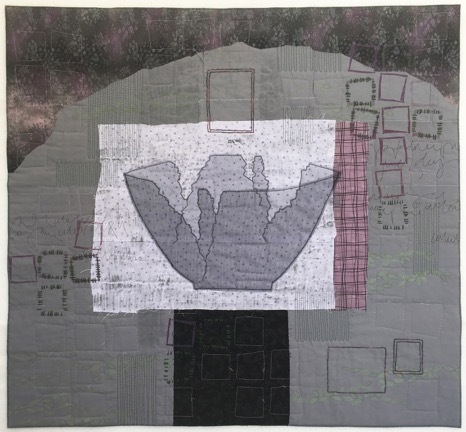 There's a short video of those two quilts here. This was my entry into the annual Dinner at Eight special exhibit. This year the theme was "Patterns." 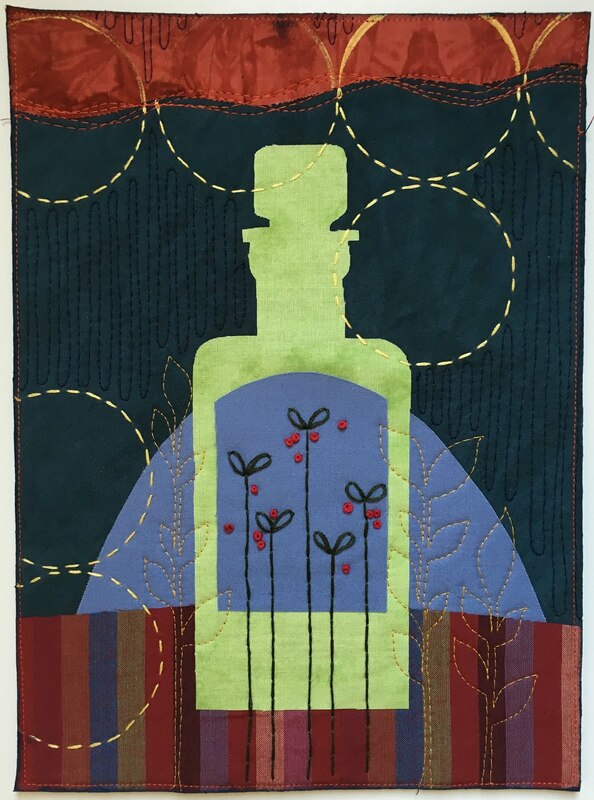 It was accepted and was on exhibit at Quilt Festival in Houston. 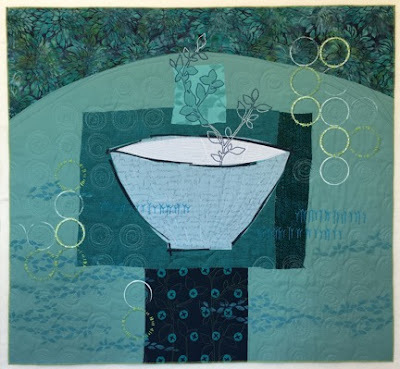 It will be shown again at Quilt Festival in Chicago. You can read about the process of putting this piece together here. This was created for Pokey Bolton's memorial exhibition celebrating the life of Yvonne Porcella. 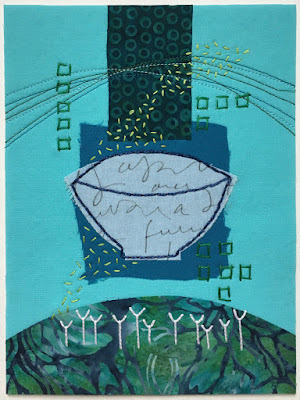 The exhibit will be shown again at Craft Napa in January. 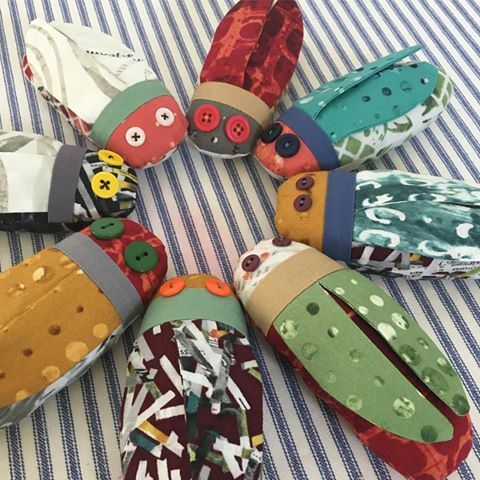 Obviously, these are not quilts, but they were a super fun creative project I created to show case Leslie Tucker Jenison's new fabric line. They will appear in an upcoming issue of Modern Patchwork. I created this piece in a frenzy of preparation for the International Quilt Festival. I posted daily updates of its progress on Instagram and FB. You can see all those photos compiled here. One last piece in 2016 (unless I can finish something up in the next three days). 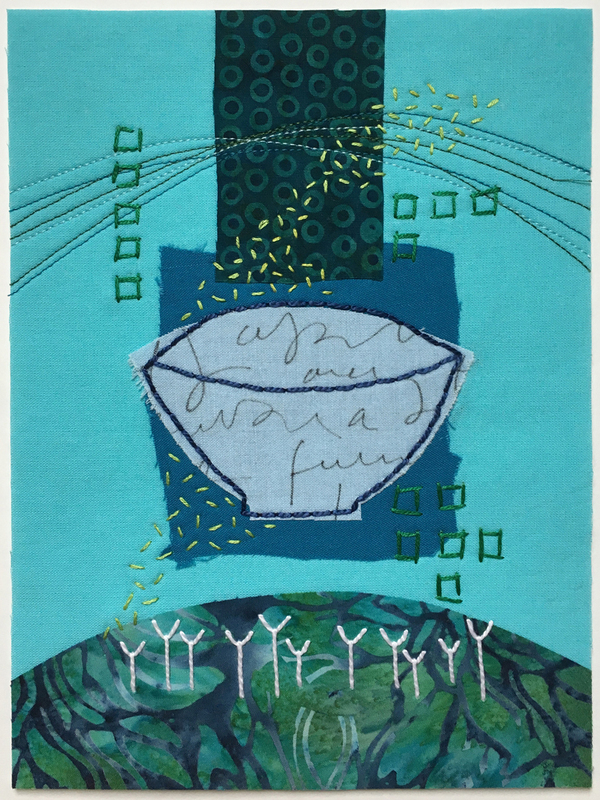 This is my submission to the SAQA Trunk show which is a group of art quilts that are sent to regional groups, visual arts leagues, schools and small exhibition settings. 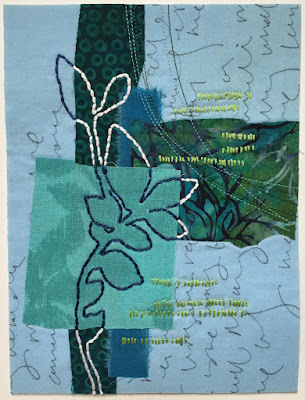 This piece began as a step-out for my appearance on Quilting Arts TV. It was the perfect time to finish it up and share it with SAQA. 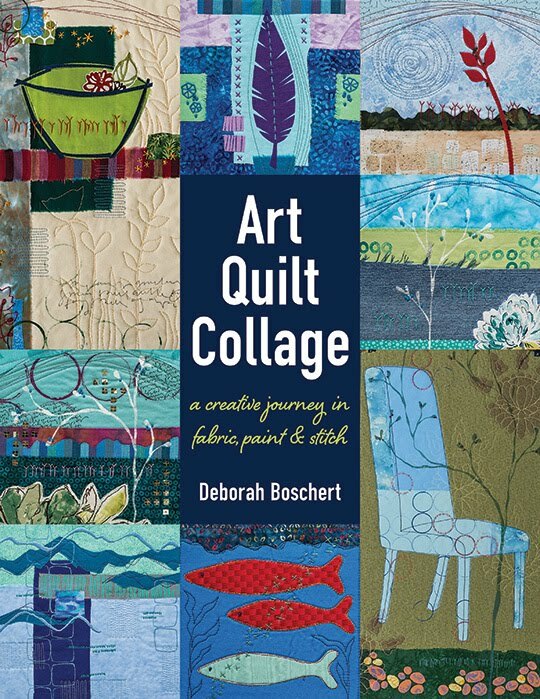 Deborah, I read your article in Art Quilt Studio before you posted this -- and I was inspired. I'm going to play some with the concept. I love it - and the results you got! I've followed you for years and I love your work. 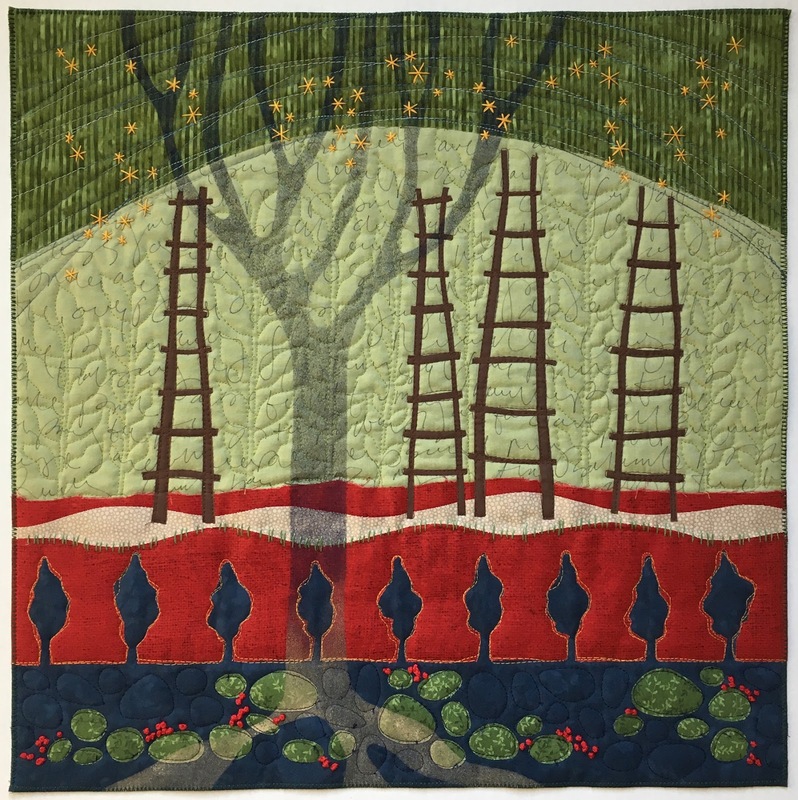 Your quilts are beautifully simple and poetic, and I love the symbols you choose to use. I just read a previous post here on your blog and plan to order your head, heart and hands workbook, That quote by St. Francis is one of my favorites, and I know I'll enjoy doing the exercises in the book. Congratulations on a year of beautiful work!